Even professional writers struggle with commas. In theory, everyone knows what a comma is—it’s a pause between parts of a sentence. In practice, though, it can be difficult to figure out where commas actually belong. Here’s a quick, user-friendly guide to help you master the comma in your everyday writing. Commas confuse us perhaps because there are so many rules for using them, and also because comma usage varies by style. The Oxford comma is an infamous example. The Associated Press (AP) Stylebook doesn’t ban the Oxford comma, but the guide recommends using it only when necessary for clarity. The Chicago Manual of Style, on the other hand, favors the Oxford comma. LEARN MORE: Why Is the Oxford Comma a Heated Debate? Before we dig into commas, it’s important to understand the difference between dependent and independent clauses. Commas often depend on them! An independent clause is a group of words that can stand alone as a sentence. It contains a subject and a verb, and forms a complete thought. Dependent clauses contain a subject and a verb, too, but they’re not complete thoughts. You can often spot them because they begin with conjunctions or prepositions, like after, as, before, if, since, that, though, unless, until, when, and while. After I visited the animal shelter. After you visited the animal shelter, what happened? The dependent clause can’t stand by itself. Although independent clauses can stand on their own, they don’t have to. You can join one or more independent clauses to form a compound sentence, and independent clauses can be added to dependent clauses to form complex sentences. That’s where understanding commas comes in handy! Now that we have some background, let’s get into some ways that commas are used (and not used). Let’s take a look at one way you shouldn’t use a comma—the comma splice. A comma splice happens when you connect two independent clauses with a comma instead of a conjunction or other appropriate punctuation like a semicolon. The kitten was cute, I wanted to take it home with me. Aaaw. Kittens are cute. But that punctuation needs more charm . . . and maybe a nail trim. The kitten was cute is an independent clause. It can stand alone as a sentence. The same thing applies to I wanted to take it home with me. The comma incorrectly splices the two sentences together. Let’s look at correct ways to write this sentence. The kitten was cute. I wanted to take it home with me. The kitten was cute, so I wanted to take it home with me. The kitten was cute; I wanted to take it home with me. When you use semicolons, there’s one caveat—make sure the connected independent clauses are closely related to one another. In the example above, you could use therefore in place of the semicolon. Those clauses are directly related. Here’s a tip: What punctuation should you use when you have multiple options to choose from? When in doubt, let clarity be your guide. Choose the sentence that’s easy to read and unambiguous. LEARN MORE: What Is a Comma Splice? Conjunctions are words that link other words, phrases, or clauses together. There are different types of conjunctions, but for now, we’ll keep it simple. (You’re welcome!) When should you use commas with conjunctions? Do use a comma before so if it precedes an independent clause. The pet store was fresh out of kitten toys, so I had to improvise. Here’s a tip: If you can substitute therefore for so in the sentence, then what follows is an independent clause. The pet store was fresh out of kitten toys; therefore I had to improvise. Don’t use a comma before so if it precedes a dependent clause. I scrunched a piece of paper into a ball so my new kitten could play with it. Here’s a tip: If you can add that after so in the sentence, then what follows is a dependent clause. I scrunched a piece of paper into a ball so that my new kitten could play with it. LEARN MORE: Do You Use a Comma Before So? Do use a comma before but if it precedes an independent clause. The kitten may be small, but it’s feisty! Don’t use a comma before but if it doesn’t precede an independent clause. The kitten is small but feisty. LEARN MORE: Do You Use a Comma Before But? Do use a comma before and if it precedes an independent clause. The shelter had puppies, and I considered adopting one. Don’t use a comma before and if it doesn’t precede an independent clause. Maybe I’ll get a puppy and train it to do tricks. Use your judgment or follow prescribed style guides when using a comma before and in lists of three items or more. The debate about whether to use the Oxford (or serial) comma rages on! I love puppies, kittens, and ferrets. I love puppies, kittens and ferrets. Do use a comma before and for the sake of clarity. I love my dogs, Kesha and Bruno Mars. This means you love your dogs, and you named them after a couple of pop stars. I love my dogs, Kesha, and Bruno Mars. This means you love your dogs . . . and also a couple of pop stars. The principles that apply to and also apply to or. That includes the style choice as to whether to use the Oxford comma in lists of three or more. Because is a slightly different animal. Its job is straightforward—it introduces a “clause of purpose.” A clause beginning with because answers the question “Why?” There’s usually no comma before because. Don’t use a comma before because as a general rule. I want a pet because animals make me happy. Do use a comma before because if the sentence’s meaning would be unclear without it. I didn’t visit the shelter, because they had ferrets. The comma makes it clear that the ferrets are the reason I didn’t visit the shelter. I didn’t visit the shelter because they had ferrets. Here are the most common cases where commas are always the rule..
Interrupters are thoughts injected in the middle of a sentence to show emotion or add emphasis. A parenthetical element is a phrase that adds extra information to the sentence but could be removed without changing the meaning. Both should always be set off with commas. The puppy I chose sadly had already been adopted. The puppy I chose, sadly, had already been adopted. Rabbits especially the ones with floppy ears are another favorite of mine. Rabbits, especially the ones with floppy ears, are another favorite of mine. When directly addressing a person by name, add a comma after the name. Charlie, have you ever considered a pet tortoise? When you make a statement and follow it up with a question for emphasis, use a comma before the question. Hamsters are full of surprises, aren’t they? 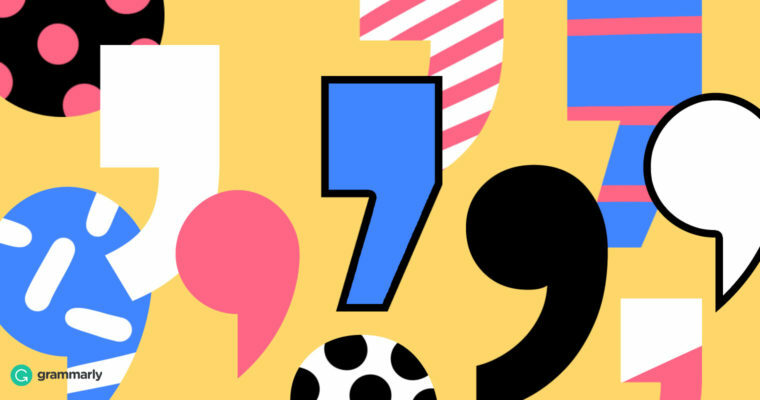 We’ve cleared up some of the most common comma questions, but commas are a deep subject. Here’s further reading to lead you down the path to comma mastery.